We’d love your help. Let us know what’s wrong with this preview of Standing Stark by Carla Woody. This ground-breaking guide offers means to engage with the paradoxical nature of the spiritual path and suggest questions that accelerate growth. Woody incorporates her esoteric adventures with Peruvian mystic Don Américo Yábar, her intensive with with others and the learning gained through the balance of community and solitude. In this honest, explicit accounting, the comm This ground-breaking guide offers means to engage with the paradoxical nature of the spiritual path and suggest questions that accelerate growth. 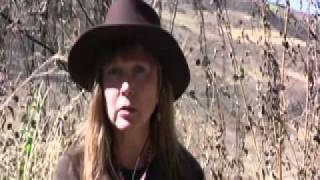 Woody incorporates her esoteric adventures with Peruvian mystic Don Américo Yábar, her intensive with with others and the learning gained through the balance of community and solitude. 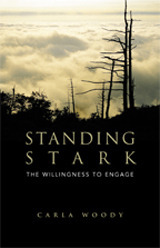 To ask other readers questions about Standing Stark, please sign up.